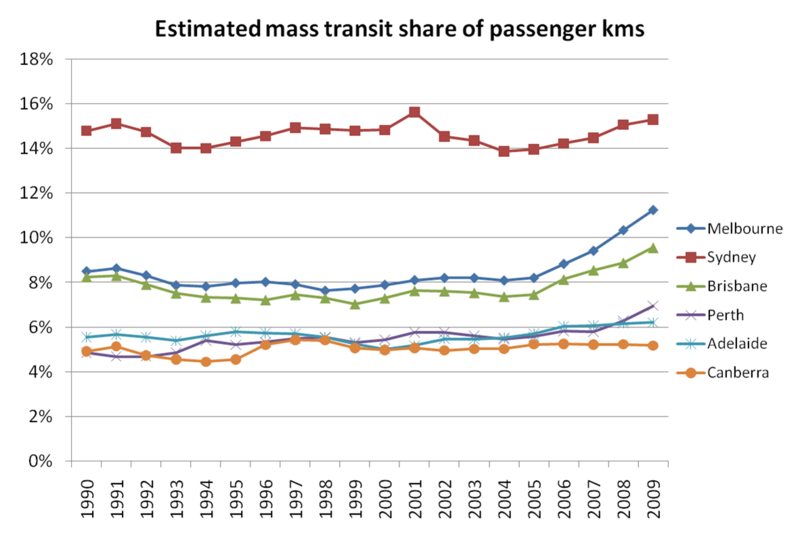 Several of my blog posts are about trends in transport data. Rather than create new posts when new data becomes available, I’m updating existing posts. But these won’t appear in your email subscriptions or RSS feeds. So this post is a guide to five posts I updated over April 2011, with a highlight from each. 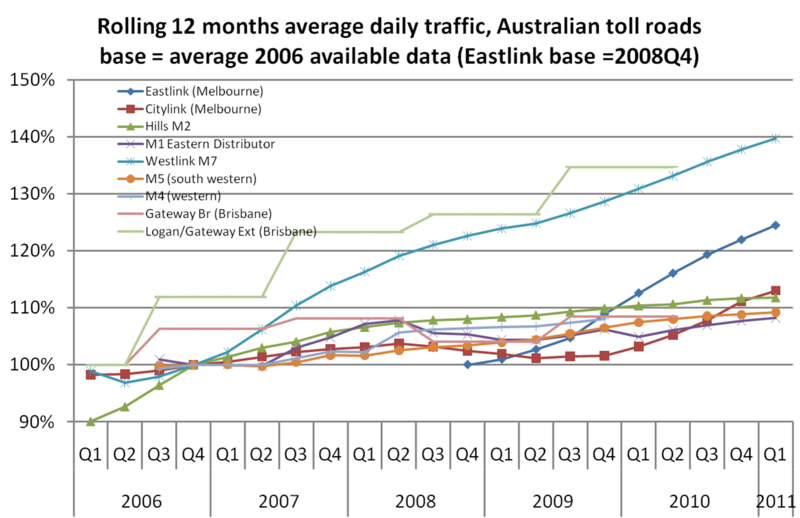 BITRE have published a 2011 statistics yearbook, and there’s evidence of continued public transport mode shift in 2008-09 in Melbourne, Brisbane, Sydney, Perth, but not in Canberra or Adelaide. New national emissions data has been published showing transport emissions are increasing, particularly in freight and civil aviation, while car emissions are continuing to decline. 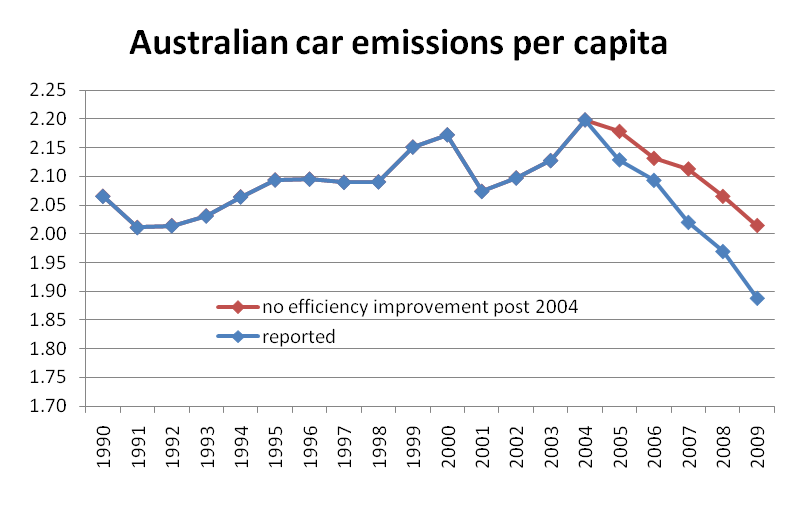 I’ve done some new analysis that suggests vehicle efficiency only explains around 40% of the saved car emissions – the rest likely to be a product of travel behaviour change. 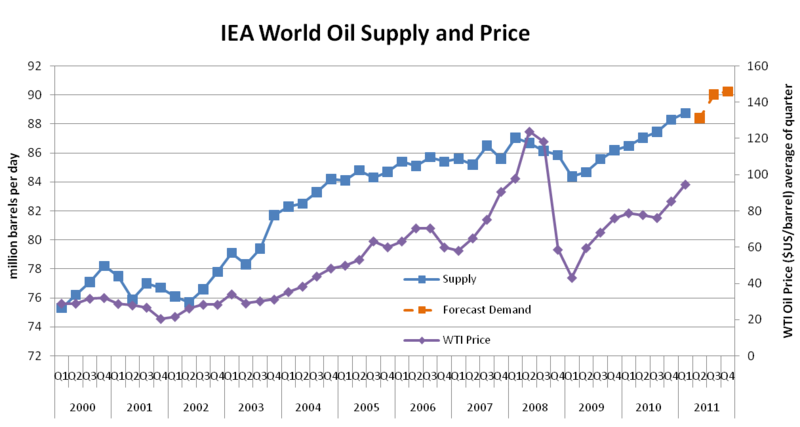 We haven’t yet seen peaking of global oil production (including non-conventionals), but both supply and prices are going up. 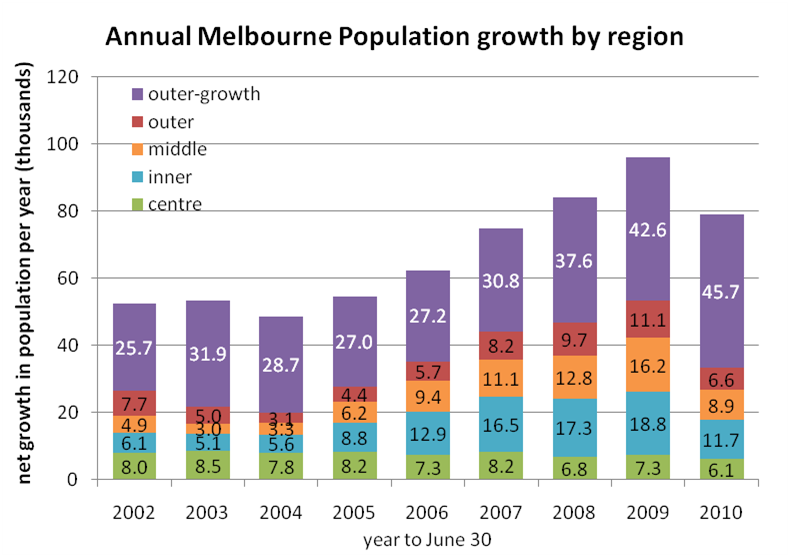 Recent ABS population data show that there was a surge in urban sprawl in Melbourne in 2009-10, in both share of growth and numbers of new residents. There was also a lot less urban consolidation in 2009-10, and slower population growth overall (1500 new residents per week in 2009-10). However, post June 2010 dwelling approvals data suggests a slight decline in sprawl’s share of population growth. This entry was posted on Saturday, April 30th, 2011 at 10:42 am and is filed under Uncategorized. You can follow any responses to this entry through the RSS 2.0 feed. You can leave a response, or trackback from your own site.